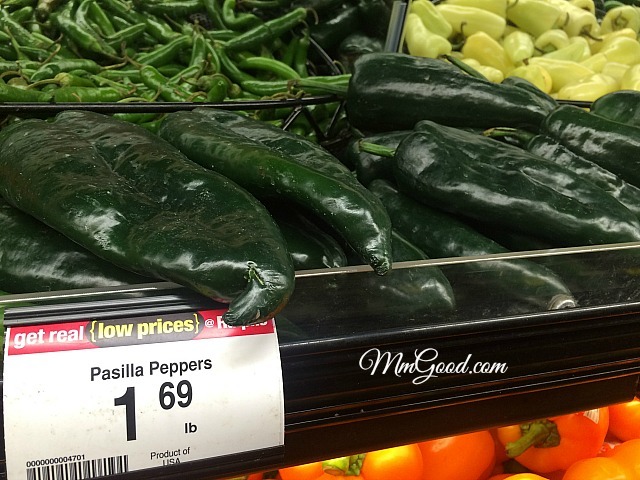 Pasilla peppers can be found in the refrigerated area of the supermarket and are sometimes called poblano peppers. 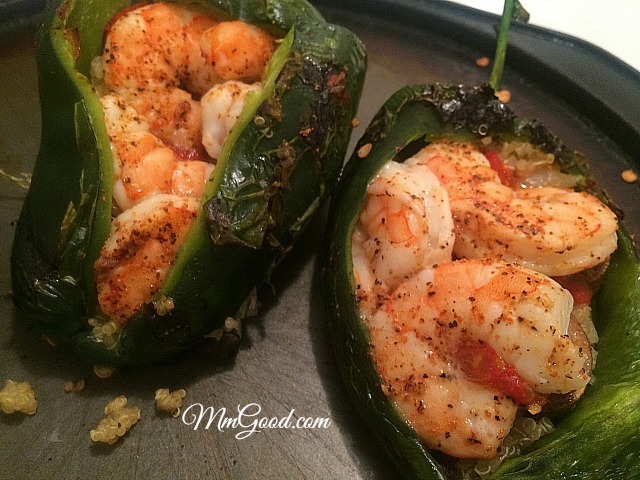 The pasilla pepper is a great pepper if you are looking for a slight heat from a pepper and you find a jalapeno pepper is too much heat. 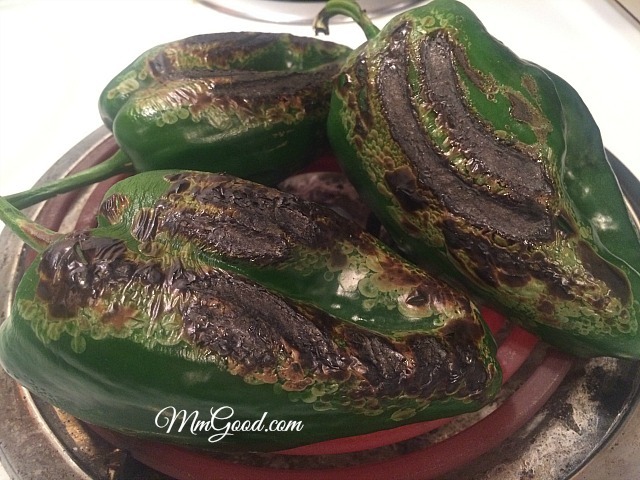 I wanted to char the pasilla pepper prior to baking it so I put it directly on my stovetop burner (yes even the coiled burners work), you can put do this in a pan if you are more comfortable. 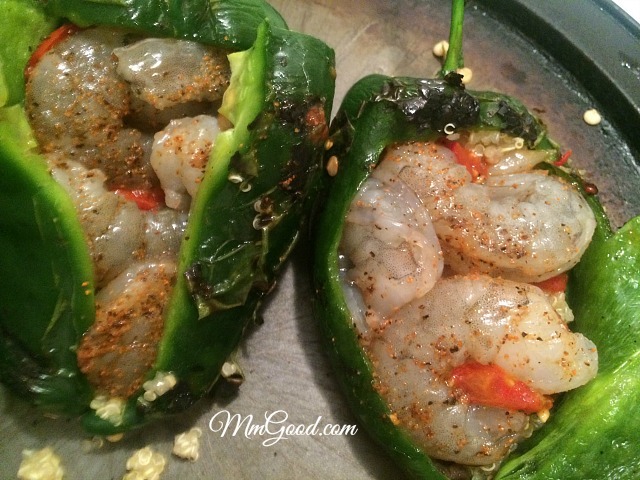 for the size of my pasilla pepper, I could only put 3 shrimps (uncooked) into the pepper, if your pasilla pepper is larger or smaller you can adjust accordingly. I seasoned the shrimp with seasoning salt as well. 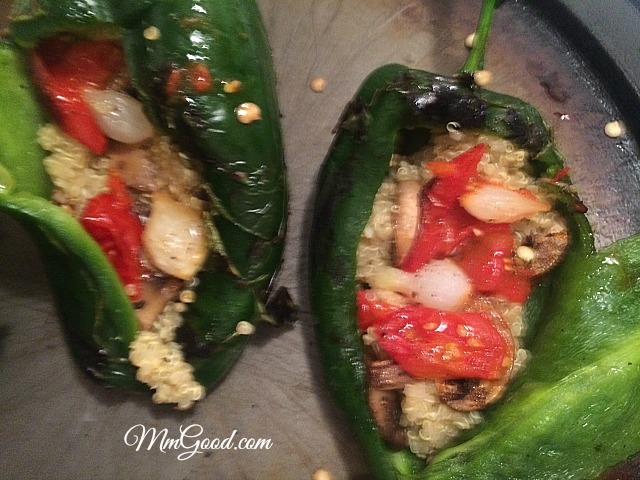 Put the stuffed pasilla peppers back in the oven, just to warm them up, 3-5 minutes. 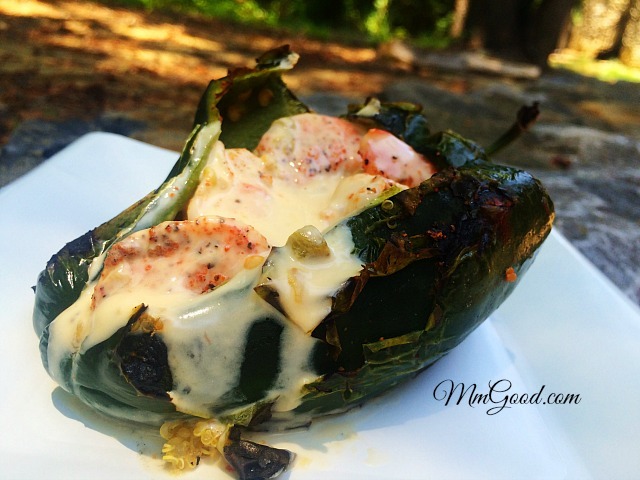 I love…love…loves this recipe, why? The slight spice from the pepper mixed with the hearty quinoa, the sweet shrimp and the creamy, cheesy topping…OMG…this is a must try recipe! I love recreating recipes using leftovers, if you have a recipe that you love making from leftovers, please email me at Patty@MmGood.com. On your stove top, place pasilla pepper to char. 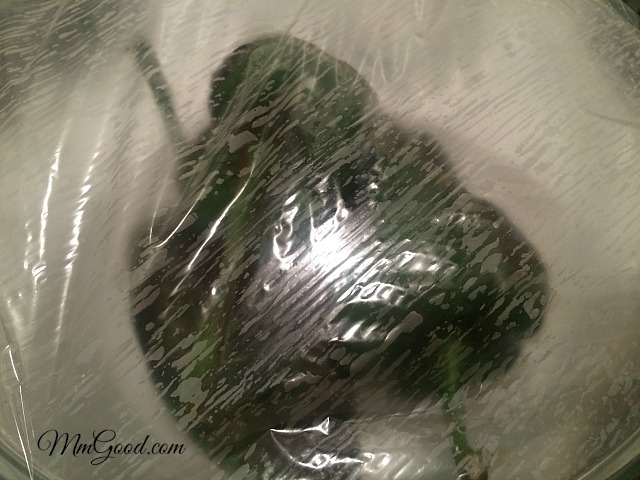 Place the char'd pepper in a bowl and cover with plastic wrap, let it sit for 10 minutes. Remove pepper from bowl and peel any skin off, cut open and remove any seeds, add rice or quinoa and 3 shrimp, top with seasoning salt. Bake for 10-12 minutes. 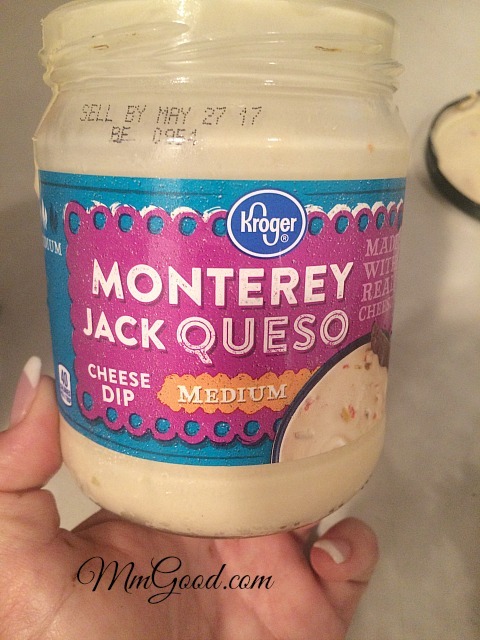 Remove from oven, top with queso cheese and place back in the oven for 3-5 minutes.